The Beaded Silk & Sequins in the Cherry Blosssoms colorway. Isn't it an amazing fit? 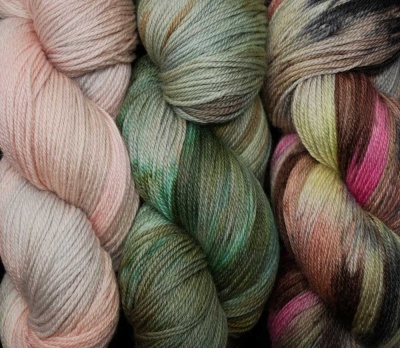 ArtYarns sends us new sets of Merino Cloud every other month. 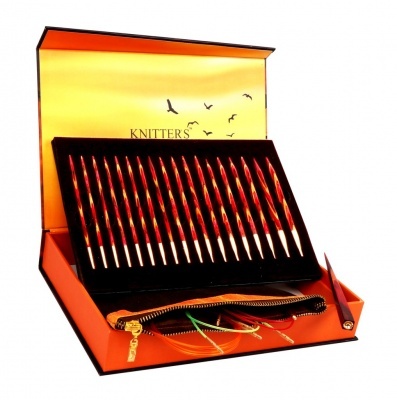 These are not not to be confused with the Inspiration Club sets of yarn (that also come every-other-month but alternating with these) where the colorways are unique. These are colors that are repeatable and can be gotten again. They are selected to work beautifully with each other or alone. And each comes with a link on the label that directs you to free patterns designed for Merino Cloud that you can get with your purchase. 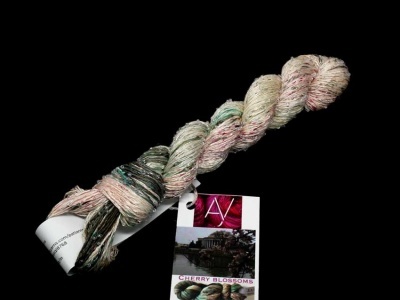 Merino Cloud is a 80% fine merino/ 20% cashmere blend with 437 yards per 100g skein. It feels amazingly delicious. 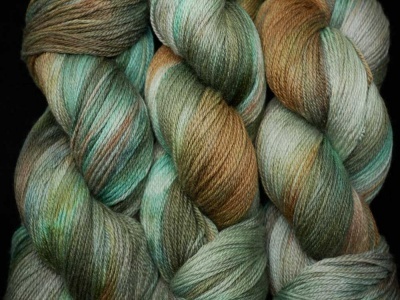 We just brought in three colorways to offer as part of our special October skeins, two being toanls and one a lovely variegated. Notice that these create a beautiful "fade" (blending of color tones) one into the next. 1. 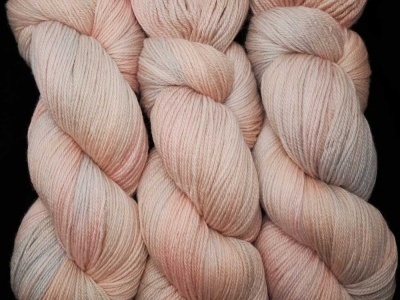 Colorway H39 is a tonal blend of pink and peach along with soft gray and slightly green-ish taupe. 2. 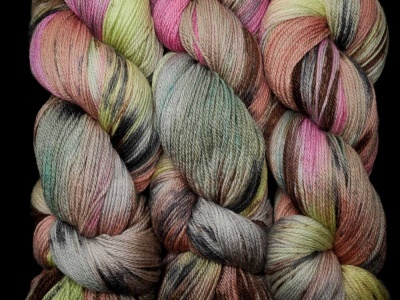 Colorway 1020 is a variegated beauty that combines the pinks and peachs and grays and adds lime and fuchsia and rose and charcoal dashes. 3. Colorway H43 takes off with the greens. 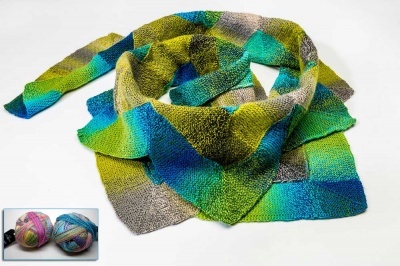 Omitting the pinks and roses, this one has varying hues and tones of green from a soft green into true green and some teal as well as a bit of olive into brown. 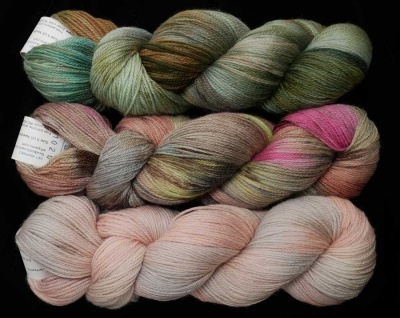 Interestingly, any of these will look great with the Cherry Blossom Inspiration Club colorways from last March -- we are sold out of the Merino Cloud though we do have some of the Beaded Silk & Sequins in that colorway and they truly look awesome together.